Nearly as large as a dinner plate, this 5-6" Powder-Puff is a perfectly formed flower in its own right. 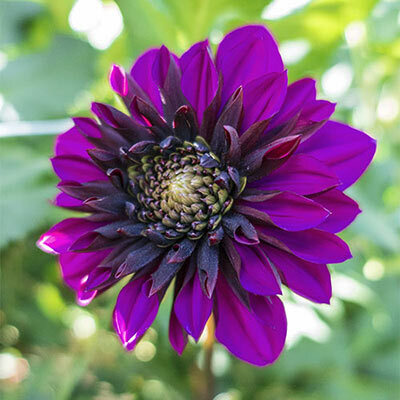 Purple Haze is a rich purple color highlighted with golden flecks at each flower's center. 5-6" anemone looking petals with double feathered center, resembling a Powder Puff.